My name is Cyril MacIsaac. This portfolio is a sample of the development I have done in the recent years. As an avid programmer, I have been pursuing the challenge of game development and design for over 9 years. 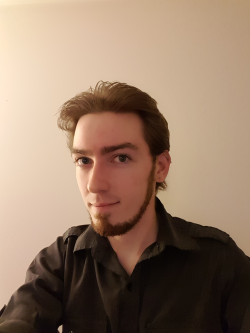 After graduating from Algonquin, I have had the opportunity to work for both Artech and Fuel, and am eager to find new opportunities in the Technology and Game Design industry. I am a diligent worker with a fascination in all things new and exciting, I am also excited to learn new skills and techniques. In my spare time I enjoys building my own games as well as exploring new emerging games in the market (from video games to board games). Above all I strive for perfection in what I make, whether it be making the next game look as good as possible or just tying to make the AI stop running into walls. I can pick up on the small things and have a knack for making them work again. I have a passion for programming and making games and I settle for nothing less than the best from my work.